VR Talent Hunters is serving as an HR consultant in New Delhi. We are backed by a team of HR professionals. 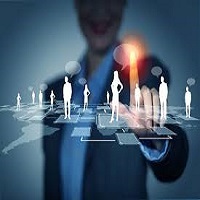 They hold an expertise in performing the roles assigned to them like reaching and shortlisting the eligible candidates, issuing letters of offer/appointment/relieving to employees, keeping the record of payroll, and much more. Apart from this, our HR consultancy is also available on a contract basis for the startups that want to establish their employee-related policies. Feel free to connect with us today.